Club Penguin Cheats by Mimo777 Club Penguin Cheats by Mimo777: Penguin of the Day: Raypenguin18! Here's today's POTD! Check it out! Tell us why your friend should be POTD by Contacting CP! That is not on the Club Penguin blog yet. How did you know Raypenguin18 is the "Penguin of the Day"? HOW DID HE GET THAT BACKGROUND!?!?!?!? Why is he POTD? 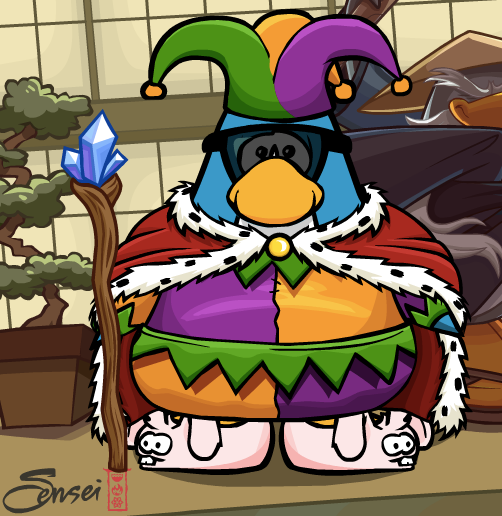 He basically spoiled a few things penguins could discover in CP.